Life insurance is the mostly used tool for getting deduction under section 80C. Tax benefits, minimal risk and insurance benefits make it an all time favourite investment for the general public. The payment of life insurance premium is allowed as deduction under section 80C and also the bonus and maturity benefits are exempt from tax under section 10(10D). In case of an individual – Policy should be taken on own life, or life of spouse or any child (Dependent or Independent, married or unmarried). Premium Paid on life of parents, Brother, Sisters or In-laws are not eligible. Deduction is allowed only when the premium is actually paid in the year. Limit on deduction – Maximum deduction allowed for Life insurance premium is 10% of the actual sum assured. For policies issued on or before 31st March, 2012 maximum deduction allowed is 20% of the actual sum assured. maximum deduction allowed for insurance premium is 15% of actual sum assured. 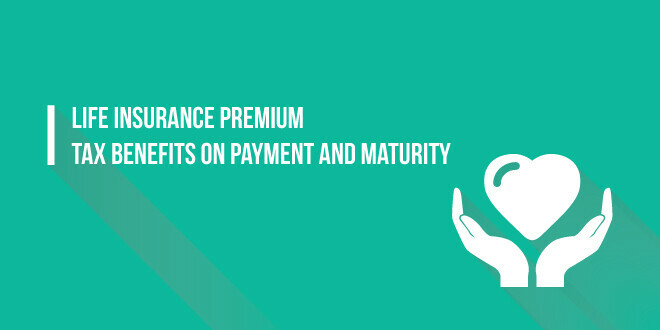 Actual sum assured is the minimum amount assured under the policy on happening of the insured event. The value of any premium agreed to be returned or any benefit by way of bonus or otherwise over and above the sum actually assured which is to be or may be received under the policy by any person is not to be taken into account while calculating actual sum assured. then no deduction is allowed for any premium paid in that financial year. The premium for such insurance policy which was allowed as deduction in earlier years is taxable in year in which insurance policy is terminated or ceases to be in force. There is a maximum limit of deduction under section 80C, 80CCC and 80CCD collectively of rs. 1,50,000. Maturity benefits received including bonus on the death of the insured person is tax free in the hands of recipient. Any maturity benefits including bonus received by the insured person himself are also exempt from tax. any sum received under an insurance policy issued on or after the 1st day of April, 2003 but on or before the 31st day of March, 2012 in respect of which the premium payable for any of the years during the term of the policy exceeds twenty per cent of the actual capital sum assured. However in case of death of insurance person such amount is exempt from tax even if this conditions doesn’t satisfies. any sum received under an insurance policy issued on or after the 1st day of April, 2012 in respect of which the premium payable for any of the years during the term of the policy exceeds ten per cent of the actual capital sum assured.However in case of death of insurance person such amount is exempt from tax even if this conditions doesn’t satisfies. the word ten percent is to be substituted with fifteen percent.